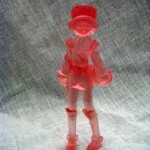 This unofficial Tai figure was available exclusively at BotCon Japan 2000. 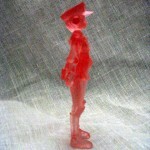 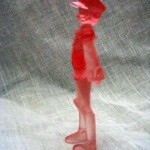 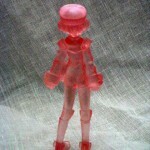 The figure is made of a gorgeous red translucent PVC representing Tai’s hologram form as seen in the anime. 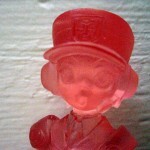 The figure’s card features the Car Robots logo, the Autobot brand and playfully designates Tai as ‘0001’. 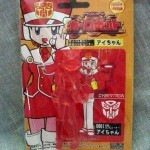 The back of the card is laid out similarly to official Takara figures from the Car Robots line – even using the same art. 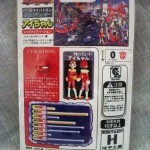 The back of the package also features a tech spec for Tai and an impressive total of ‘0’ Robot Points.